for the international astronomical community. STAR Atlas:PRO products carry the SKY:Lab® logo and may only be purchased from Authorised Dealers. 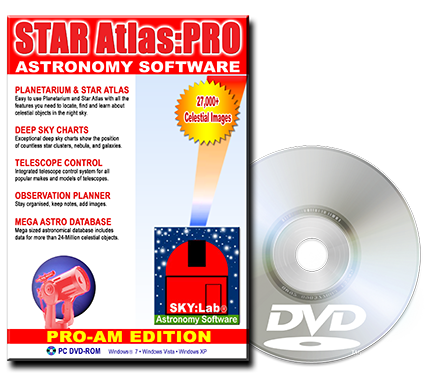 STAR Atlas:PRO™ is designed, developed and produced by Paul J. Mayo. SKY:Lab® is a registered trademark of Paul J. Mayo. Your e-mail address will only be used to contact you after you make an inquiry.